The Metropolitant team was invited to review the new Cellu M6 Alliance by LPG Endermologie at Lady Raffles International. It is important to know that the review was solely based on our experience, and we do not endorse any form of slimming or aesthetic procedures, without consulting your doctor. Before diving into the review, let us understand what LPG Endermolgie is, without all the confusing technical and scientific jargons. The French brand focuses on technological innovation for beauty. Intensive researches are carried out to ensure that the latest devices deliver aesthetically-pleasing results “in a completely non-invasive, non-aggressive, pleasurable, and safe way”. Heinz, our newest contributor, opted to have the LPG Endermologie treatment done on his face. The treatment can also be performed on other target areas like bum, thighs, tummy and arms. The treatment is allegedly to be highly effective for cellulite smoothing, localised fat release and sagging skin in just three sessions. Before the treatment started, Heinz sat down with a Lady Raffles International consultant to better understand what his skin concerns are. Stepping into his mid-30s, Heinz proudly proclaimed that he was searching for immortality, and the journey to the fountain of youth was paved with ill intentions such as fine lines and the lack of collagen in the skin. After deciding what will suit best for him, he was led to the treatment room where a therapist proceeded to cleanse the gunk off his face. The treatment is to be performed on bare skin for best results. 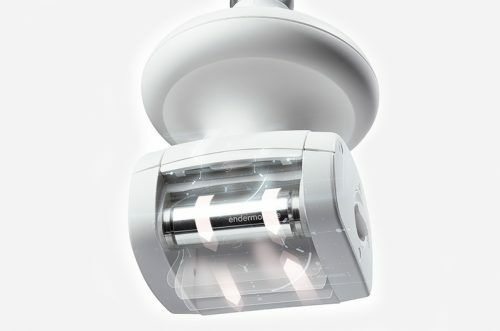 The therapist used a device that comes with a treatment head that combines a motorised roll and flap with sequential suction. The treatment started from the neck to the cheeks and ended at the forehead. The entire treatment took 30mins and a moisturizer was slathered to complete the process. It was painless, somehow relaxing, and Heinz was caught snoring twice. First impression – The therapist was extremely friendly and dished out skincare advice sporadically throughout the treatment. The treatment, though relaxing, did not perform any significant change to his face. There was only very slight lifting around the eye area and his forehead wrinkles were smoothened, only to be noticed if observed very closely. Everything else remained quite the same. To be fair, it was recommended at least three sessions and Heinz only did one. It was also mentioned during the earlier consultation that Heinz has a prominent jawline, thus might not warrant very obvious results. What he liked about the treatment was that it could be a life-saver for both husbands and boyfriends. 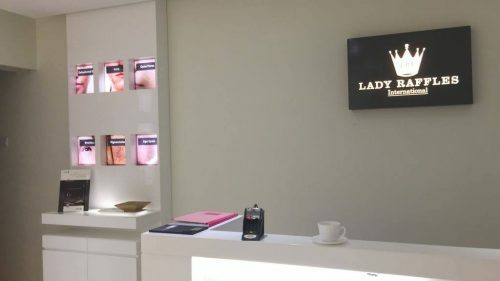 Lady Raffles International is located in Paragon, thus instead on wasting data on playing mobile games or secretly swiping on Tinder while the ladies are shopping or refining their appearance of ageing skin at the beauty wellness lounge, the men can actually proceed to have a facial treatment done in 30 minutes. It is about time to stop showing off your beautiful partner, and start being a trophy husband/boyfriend yourself. The LGP Endermogie treatment packages range from SGD$229 – $2290. Lady Raffles International is located at 290 Orchard Road, #14-09 The Paragon Tower 1, Singapore 238859.